Guitarist Jerry Watt is best known for being the face of The Rockets, a group he has been part of – continuously – for about 48 years. He wasn’t always a “Rocket Man”. 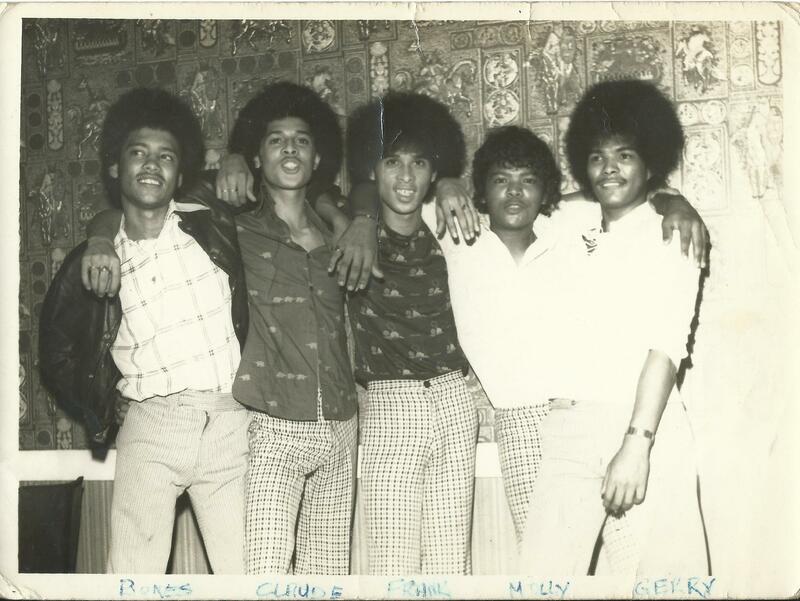 The ever-reliable, clean-living Gerald Watt started his music career as a 13-year-old with a group called The Fantastics. That was way back in 1968. So this year marks Jerry’s 50th year in showbiz, as it were. It has been 50 years of unblemished service to South Africa’s music lovers (the drug bust in the ’70s doesn’t count, but more about that later). He put together a marvellous tribute last year to mark The Rockets’ 50 years existence, but Jerry didn’t join the group until late 1971 when The Fantastics folded after a horrendous tour. It all began for Jerry in Bonteheuwel where he lived in the same street with the Brown brothers, Claude and Frankie, and the du Pont brothers, Basil and Robbie. Jerry showed an early interest in music, listening to his uncle who played in a band that did cover versions of The Shadows’ instrumentals. “I grew up on a farm in Kraaifontein,” Jerry says. 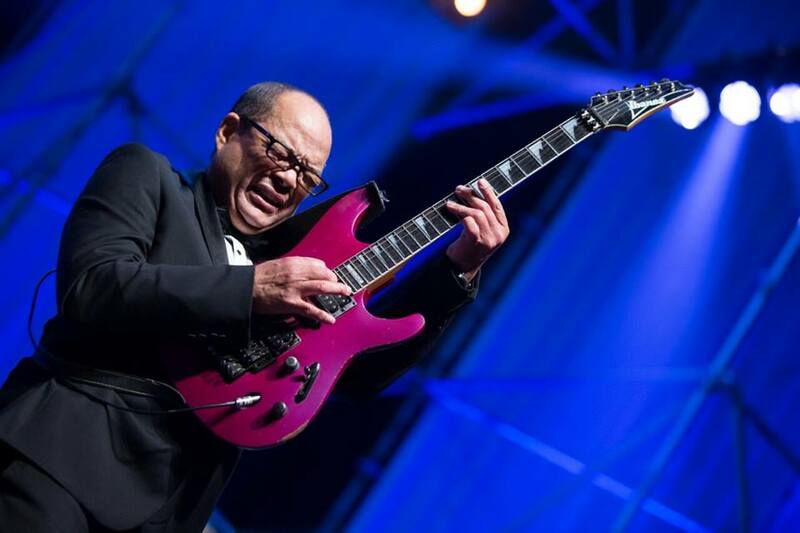 “My grandfather showed me four chords that I still remember up to today. “In 1961, at the age of six, we moved to Bonteheuwel. Frankie and Claude were two doors away. Their father was very musical and they were right into it and I got caught up in it. “We decided to start a group called The Fantastics. I was initially going to be the bass guitarist but I really didn’t like the bass. I ended up being rhythm guitarist, Frankie on bass and Claude on lead. The boys – all 14 and under – were just a bunch of teenagers, excited at the prospect of being a group. There was one snag however – they had no instruments! The Rockets . . . Jerry, Bones Molly Claude and Frankie with Jonathan Butler busting a move. But that didn’t stop their dream. By hook or by crook, it was going to happen. “There were a couple of bands already active in Bonteweuwel, like The Escorts,” Jerry recalls. “We could hear them practising in the neighbourhood. “At first we used to hang out outside the place where they practised. Eventually we got to stand at the window. I used to look at them with such longing and envy and think ‘if only I could hold that guitar, that electric guitar that sounds so amazing’. “At that stage all I had was a box guitar. They couldn’t help noticing us and invited us in and discovered we could actually play a bit. They asked us to do one or two songs. Then they invited us to one or two gigs in the neighbourhood. It was such a thrill as laaities being on a stage. In the late Sixties, one of the most popular groups in the Cape Province was The Invaders, from Uitenhage. They had smash hits with songs like Shockwave, Ice Cream And Suckers and Kongo Kwela. The group played all the Invaders stuff, and Claude Brown even copied Joe Moses’ [the Invaders’ lead guitarist] facial contortions. People started talking about these five kids from Bonteheuwel who were thrilling the audiences at stage shows. “When promoter Hamza Mukkadam brought them to Cape Town on a tour, we did shows in the Kismet and Palace in Salt River. After one of the shows, we went to a meeting at a Mrs Williams place in Camberwell Rd and met the Invaders and Hamza told us he would like us to become the junior Invaders,” Jerry says. The Rockets 1971 . . . Bones, Frankie, Claude, Molly and Jerry. The boys gradually broadened their repertoire to include material from overseas stars played on the radio pop charts. One big problem the boys faced was coping with school after doing stage shows that ended late at night. “The stage shows were mainly during the week, weekends were dance gigs,” Jerry says. “It was killing me. The day after a show, my head would be on my desk. “In Std 7 [Grade 9], I was so out of touch, I knew I was going to fail dismally. Luckily my father was so supportive. I explained to him my head was not into schooling anymore. I didn’t write the last exam, and left school. “Maybe my dad saw something in me, he was behind me in everything I did. Maybe I could make something out of my life with this music thing even though a career in music is very hard. In 1970, The Fantastics decided to broaden their horizon and embarked on a tour that was to prove both an adventure and a series of tragedies. The group packed all their gear into an 1100cc Microbus and hit the road for Port Elizabeth. They made it halfway up Sir Lowry’s Pass and then the van broke down. “Do you think we were going to give up on our our dream – no way,” Jerry says. “We pushed it all the way up The Pass, and when we hit downhill, the motor kicked in and we hit the road – until we hit Storms River and it broke down again. “One of our roadies was something of a mechanic. The engine of the 11cc had four screws in it. We dropped the engine, fixed the problem, put it back in and hit the road. Jerry and Bones belting it out around 1974. It was a bad period for the group. 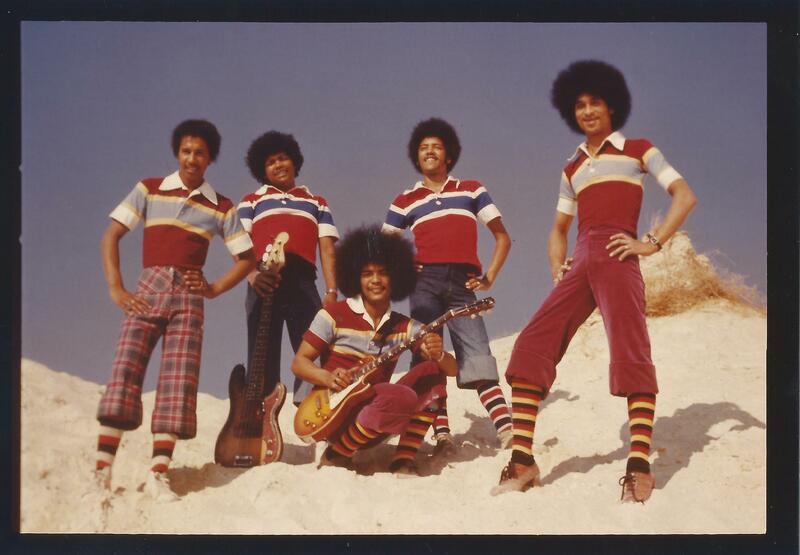 They lost one of their singers, Mikey Davids, to leukaemia, a young Colin “Bones” Delight had to quit the group and head home because his grandmother had died; and the du Pont brothers (Robert had by now joined the group) lost their mother while they were on tour. When they finally came home, a promoter had arranged a welcome back gig at the Kismet. They arrived hours late but the fans were still waiting. “When I got home I cried like a baby in my mother’s arms. I mean, this is six months after leaving home, Mikey had died on tour, we were just kids,” Jerry says. “That tour maybe helped us to understand what it takes to be on the road. It prepared us for the future; it did amazing things to us and to me personally. It was our adventure. “While we were away, Molly Barron was already asking ‘Bones’ and my sister about my homecoming, hoping that I could link with The Rockets. The Fantastics didn’t last very long after they came back and before he knew it in 1971, he was with Frankie and Claude Brown and Molly in The Rockets. That is where he has been ever since. Jerry is proud of the achievements of The Rockets. 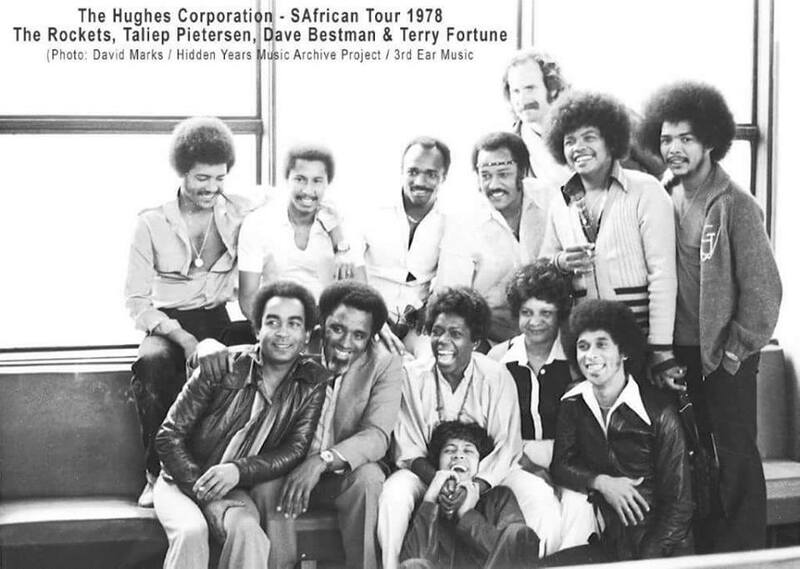 The group gained huge exposure from the late ’70s onwards when they were supporting acts for international groups like the Hues Corporation, The Manhattans, and The O’Jays. Not bad for kids who came from the sticks and with no formal music education. The Rockets, circa 1975 . . . Cliffie, Molly, Jerry, Bones and Frankie. “The advantage of playing by ear is it’s a natural ability. It just comes to you easily. You take a guy like Jonathan Butler, he was just a natural. The guys in The Rockets, we were just blessed in that way. For a good few years, The Rockets criss-crossed the country entrenching themselves as one of the most popular groups around. That professional approach showed when they prepared for a tour or new season somewhere. “We knew we had to be different. There were hundreds of bands out there doing similar stuff and we knew we had to have something special. We locked ourselves in the bungalows in Strandfontein for three weeks to rehearse at a time. Only certain people were allowed there – no fans. Although there had been minor changes in the group over the years, the one that attracted the most attention was when Molly Barron walked away to pursue a life as a Born Again Christian. 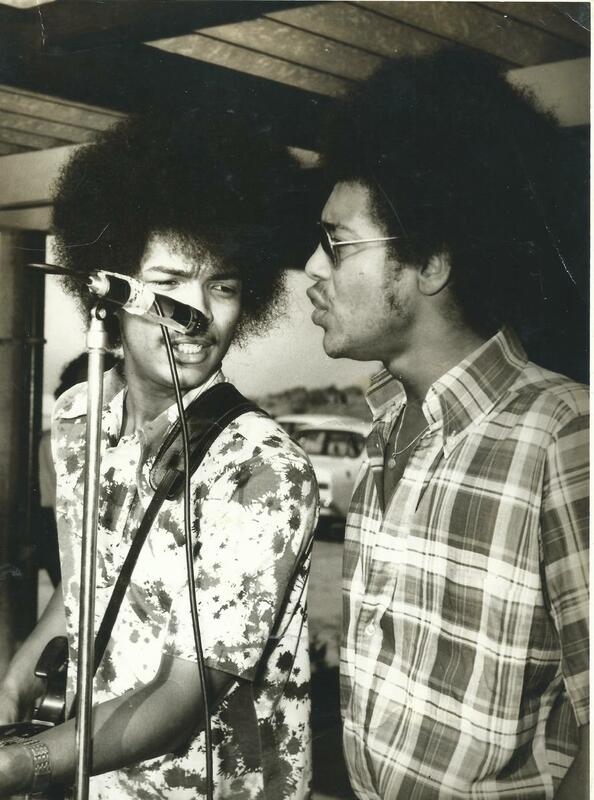 “He left with our keyboardist Cliffie Valentine in 1983. It was done in a good spirit and I must tell you, when he came back two years later, he didn’t drink or smoke. The big break-up came 1989 when the group was on a contract in Israel. There was a disagreement on the management side and ended with Jerry keeping control of the group and Molly branching out on his own. Jerry dismisses disparaging talk that The Rockets are not a quality band because they only play cover versions of pop songs. 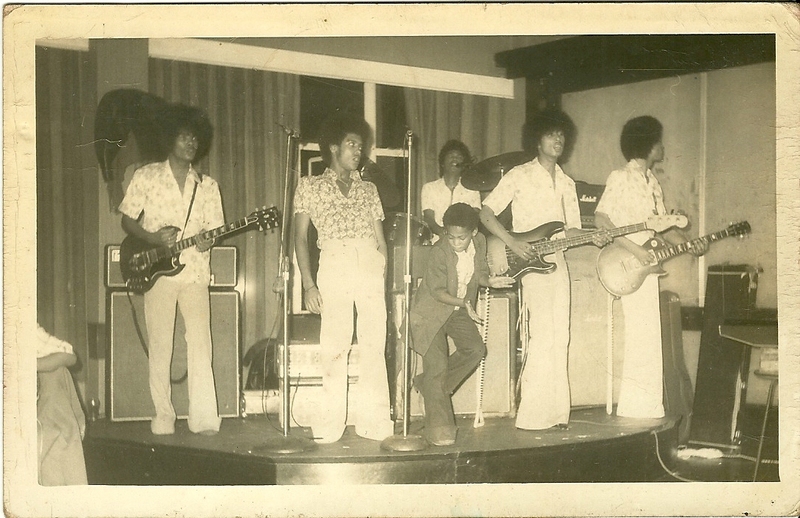 The Rockets with The Hues Corporation and Terry Fortune, Dave Bestman and Taliep Petersen in 1978. “We have a big, loyal fan base. We are a cover band, but we also write our own songs. We play what is popular on the charts but we slip in our own stuff in between. “We have our formula, and it works. If you know your koeksisters are selling like hotcakes, why would you want to change the recipe? There were 800 people at our gig on Saturday night and we kept them going for two hours. “We wouldn’t change our approach for anything. When we started, there were all these bands like Black Death and the psychedelic stuff. But how long did they last? “Our repertoire is mainly old school. You get the new songs but it’s like ‘in by the front door, out by the back door. The old school stuff stays there. The longevity of the group has given them a fan base that is the envy of other bands. “Our fans are from 8-80. We played on a jazz cruise earlier this year,” Jerry says. “I was walking on deck, when I heard someone whistling a tune behind me. It was a kid and he was whistling Loving You, our first hit song. I asked him if he knew what he was whistling. He said, no, but I like the song, my mom and dad play it at home all the time’. For all their success, Jerry says The Rockets have never really cracked it financially. They average about 150 gigs a year, and one year did 220. They travel as far as Namibia to please their fans. 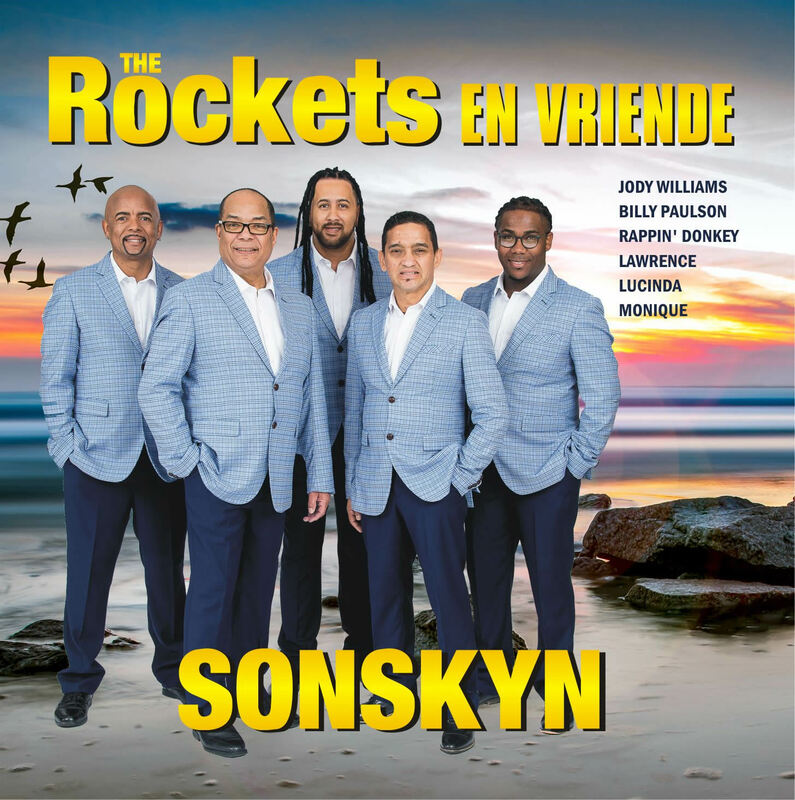 Something Rocket fans can look forward to in the next few weeks is the release of their latest CD, Sonskyn – Die Rockets En Vriende. Jerry says it is all Afrikaans songs and is an acknowledgement of the roots of their fan base. What then about that drug bust that landed him in a police cell? Let Jerry tell it: “I never drank or smoked dope. I smoked cigarettes and on the 1 September 1980 I smoked my last cigarette. “The people around me all smoked weed but never me. I ended up in the John Vorster Square cells because of other people in the band who were smoking dope. “I was very angry when the cops broke down our door in our Hillbrow flat and arrested us. All, except Cliffie, were arrested. The cops had been watching us for a while. They knew what we were up to. There were white girls who were hanging out with us. I always told them that if the cops busted us, they would have to own up that it was theirs. “That big boere cop with hands like baseball mitts, smacked me and demanded to know whose dope it was. I told them it wasn’t ours, we were renting the place and we didn’t know who lived here before us. The drugs were hidden in a lamp. So, Jerry Watt . . . 50 years and counting. Theo Watt, his nephew and the group’s singer, has just celebrated 30 years with The Rockets. The drummer has been there for more than 10 years. South Africa’s most dependable group is still gong to be around for a few more years if Jerry has his way.